It's a pretty important skill in life, knowing when to leave. And – speaking as someone who's spent the night accidentally locked in a bar – an undervalued one too. We're pretty good at it in our own country, we're experienced leavers there, but the rules vary from place to place. 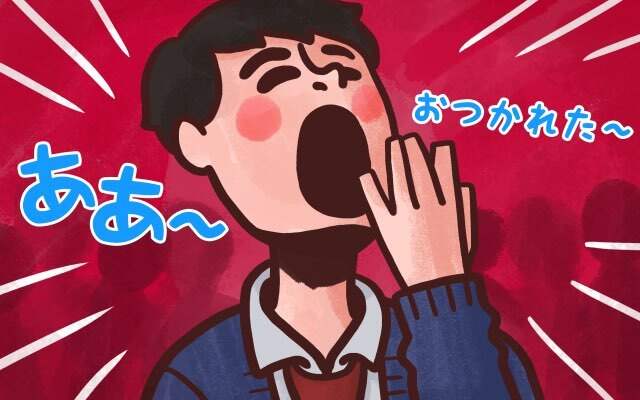 As with many aspects of Japanese culture, where set social routines are highly valued as a means of ensuring everyone maintains face, there are some inventive and unique ways of letting people know when it's time to go home. For this article, I hope to show you how to do that in Japan. Depending on where you are or who you're with (or what your age is, for that matter!) there will be various cues to remind you that it's time to go home. If you don't know these cues you could be overstaying your welcome (or staying the night in a park). We'll be looking at three situations in particular this time: commercial outlets, childhood curfew, and finally the oh-so-difficult general "social situation." 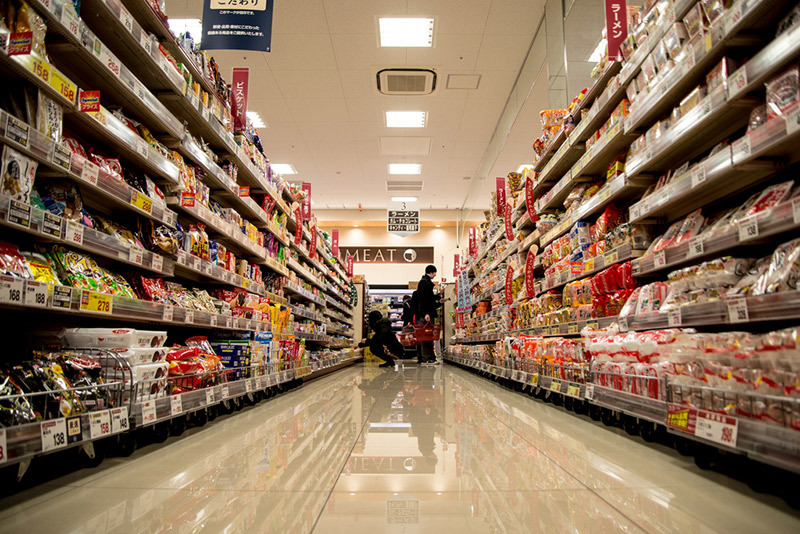 Most supermarkets don't simply announce that they're closing – that would be very abrupt and un-Japanese. Instead a recognizable song gently coos from the speakers to coax shoppers, often salarymen drowsy and dazed from hours of overtime, towards the checkout. For the bewildered foreigner it's like your shopping experience has its own theme tune, with the Japanese cashier's tendency of saying each purchased item out loud as they scan it serving as a kind of vocalized end credits. Make sure you don't overstay your welcome by failing to make it to the checkout before the song finishes though, if you do you'll get those end credits with an eerie one-of-the-main-characters-has-just-died lack of music. Only in this case, the character that died is the unwritten communal contract binding Japanese society together. You killed it, and everyone in the store feels very awkward about the whole ordeal. Those that have been ushered out of a Japanese store, gym or even an office building with the use of gentle music will probably have been surprised to note that the tune used is Auld Lang Syne, a traditional Scottish song believed to have originated from a fifteenth century poem first transcribed by Robert Burns. The title is translated literally from Scots as 'Old Long Since' and the words are a call to remember and cherish old friendships. Between 1929-52 a Canadian singer named Guy Lombardo performed the song in a live broadcast from New York every New Year's Eve, cementing its most common usage in the English speaking world as a song sung by drunken revelers on the stroke of each new year, mumbling their way through until everybody chants the one line they think they know in unison: "For the saaaake of auld lang syyyyne!" (Ironically, the line that everybody thinks they know is the one that most people get wrong, it should actually just be "For-or oh-old la-ang syne"). The tune was most likely imported to Japan by missionaries, as it was to the Korean Peninsula where the national anthem of South Korea, 'Aegukga,' was sung to the tune of Auld Lang Syne up until 1948 (and South Koreans weren't the only ones, The Maldives also attached their national anthem to it up until 1972). 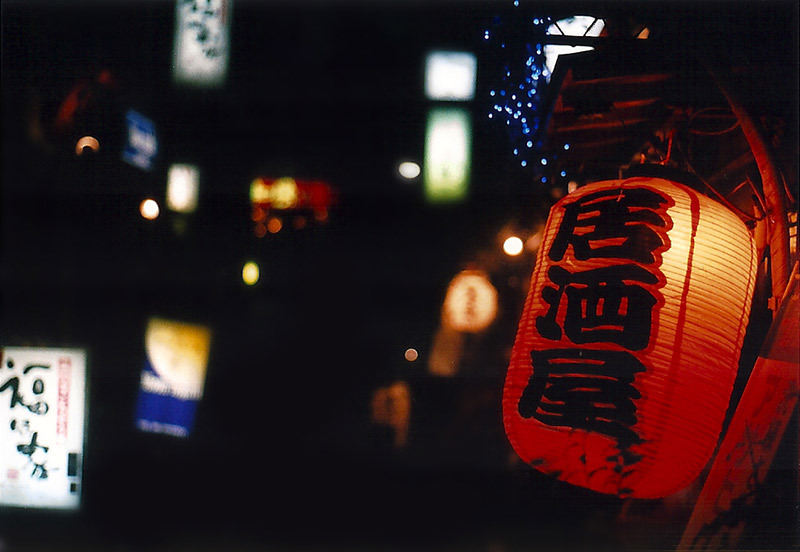 If you ask a Japanese person the name of the song playing over the supermarket speakers (ask hurriedly, it's time to leave, remember), they won't answer 'Old Lang Syne,' or even its Japanese name Ōrudo Rangu Sain, but Hotaru no Hikari, 'The Glow of a Firefly'. This song, first introduced in the late 19th Century, is a contrafactum of Auld Lang Syne; the lyrics are changed to a description of hardships endured by a student in his quest to gain knowledge and serve Japan, beginning with the act of reading in the eponymous firefly's glow. Despite the altered words containing no mention of goodbyes, the song is still used as a symbol of saying farewell, as it is in other parts of the world. Besides its use as a melodic bouncer of Japan's commercial outlets, gently prodding you towards the exit with a feigned sense of regret that you couldn't stay longer, Hotaru no Hikari is often sung at graduations and, reminiscent of Guy Lombardo eight decades ago, by the star-studded cast of NHK's New Year's Eve production Kōhaku Uta Gassen as the show closes. As you're no doubt aware, children are sneaky little buggers. Japanese children are no different but parents are gifted with a way of sidestepping the ominous task of setting a curfew. In most countries, results depend on times given by other children's parents and the propensity and stamina of the child, but in Japan whole towns will share the same predetermined curfew time signaled by music or announcements played over a system of loudspeakers. 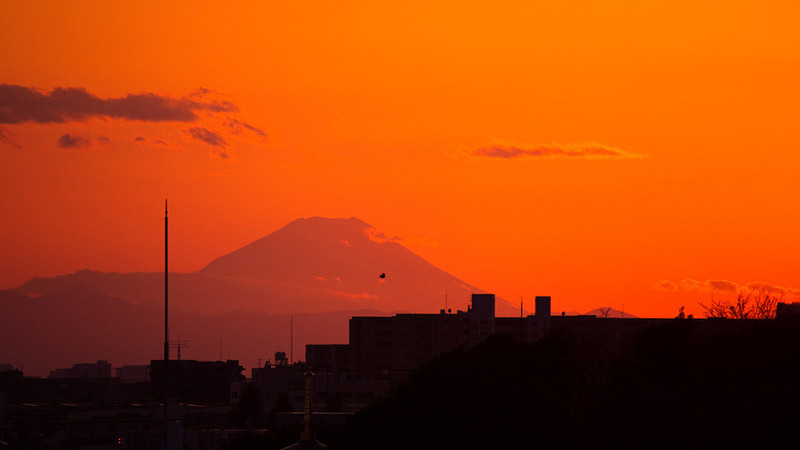 The time can vary based on the region and season, but it's usually just before the sun sets. In my area (Koenji, Tokyo) it currently plays at 4pm and is soon followed by what appears to be the world's smallest, sulkiest naval parade as half a dozen kids in sailor school uniforms trudge past my building. Karasu to issho ni kaerimashō. Sora ni wa kirakira kin no hoshi. The mountain temple's bell rings. Let's go back together with the crows. A big round moon shines. Social situations involve more nuance than the previous examples. As much as a host might want to, they can't suddenly creep over to a CD player and start playing Yūyake koyake or Hotaru no Hikari to let everyone know it's time to leave, perhaps adding a sigh and shrug of resignation at being forced to end the party. Though there isn't one nationally understood sign that guests should leave, there are a number of cues they can be given, many of which are the same in other countries. The first, and probably most common, is the classic simulation of tiredness. Perhaps your host will start off with a small yawn or an eye rub, before your inevitable failure to pick up on it leads them to emphasize more clearly how tired they are. A simple statement of "Ahh, otsukareta," or, in more extreme cases, wafting a yawn so vigorously that – even in the unlikely event of the gesture going unnoticed – the wind pressure itself might lift the unwanted guest up out of their seat and whisk them from the room. Another method is to make it seem as though the guest wants to leave, a kind of Jedi mind trick that works by stating guests must need to leave in the hope that they'll repeat the words back in confirmation. A small circular wave of the fingers directed at the guests for added effect is optional. Similar to this is the implication that the host has been rude and kept guests for longer than they should have, "Nanka osoku made gomen ne!" For bonus multiplier points, a combination of the Jedi mind trick and the tiredness method can be used wherein the host implies the guests are the ones that must be tired, "Ah, mou konna jikan da, otsukaretta yo ne!" The running hours of trains in Japanese cities also play a major role in the delicate dance of departure. With taxis charging the kind of rates you'd expect for your own kago, the most common end to a social event involves people hunched over smartphones to check the time of their last ride home before shrieking apologies and dashing off with their coat half on, one sleeve flailing behind them in an unintended wave of goodbye. In a recent poll, the majority of Tokyoites even voted against having 24 hour public transportation, most likely because they don't want to lose what some bosses consider the only acceptable excuse for clocking out of an overloaded office. The last train is a flexible tool that can also be used by hosts, as well as guests, to let people know it's time to go. If someone asks you "Shūden heiki?" it's probably a genuine display of concern that you may miss your train but there's also a chance you're straying towards the boundaries of your welcome. When you reply "No problem, I have another two hours!" watch out for a pained smile that fails to mask the mix of panic and weariness in their eyes.